A shout out for kids helping kids – good news in the midst of, you know, mostly blechy news. 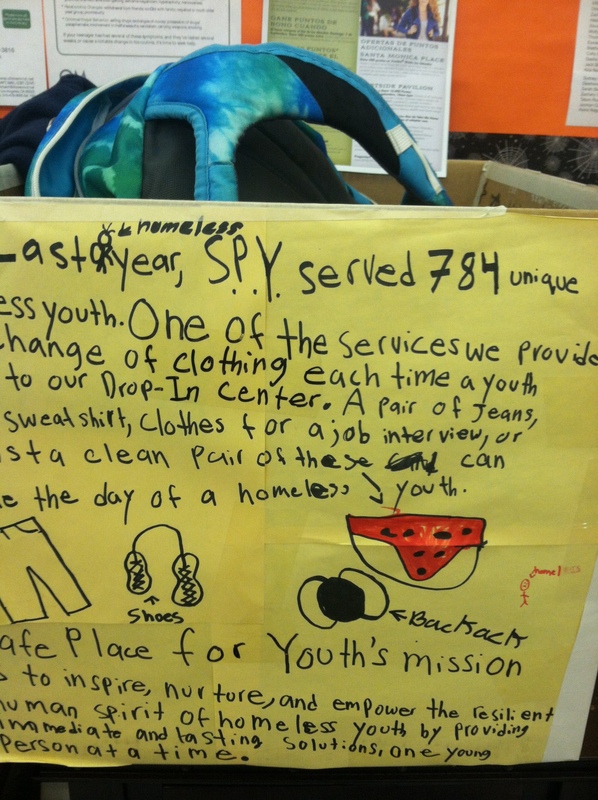 Recall that all of SPY’s donated warm clothes and sleeping bags were destroyed in a fire. Evacuation procedures in case of bomb threats! Today’s “Shelter in Place Drill” (nee “Lockdown”) in case of active shooters! Gentle reminders about holiday gifts for teachers, because a little gift means a lot (see bullet point above re public school funding). So the lovely part about this meeting was this news: Our heroic (yes, heroic; no snark or sarcasm should be read into this adjective) school administrators and counseling staff had identified two homeless families in our school. (That’s not the lovely part). The administrators had reached out to other school parents, and through the efforts, donations, and advocacy of many people, those families are now in temporary housing on their way to permanent housing, and have received donations of gift cards for supermarkets and restaurants so they can eat. Admittedly, with nearly 14,000 students in LAUSD homeless (no wonder LAUSD has its own Homeless Education program), helping two homeless families get housing is a drop in the bucket. But for those two families it is a waterfall of blessings. 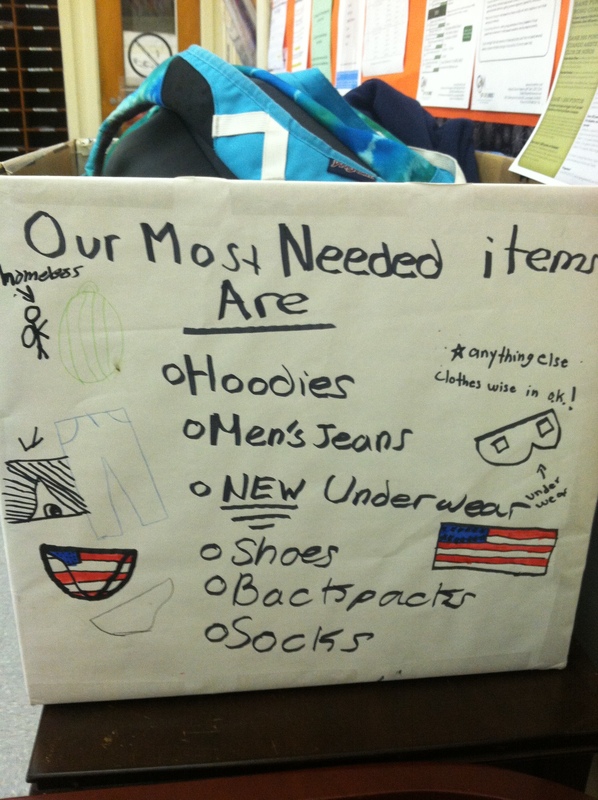 For the Community Service Club kids, whose collection boxes express their dream of a world that is kind, abundant, plentiful and whole, there’s no better lesson than this: changing the world one person, one coat, one meal, one family at a time is as good a way as any to change the world. As overwhelmed as I can get by the enormity of need — to the point of doing nothing, because where to begin? — I appreciate the reminder, kids.